Charles Westway, philandering newscaster, can't keep his life on track. Probably his uncontrolled drinking lifestyle is to blame. No enemy can be as vicious as a scorned woman. But, was it a crime of passion or something else? Hamilton-Adams Investigations is on the case. Unfortunately Jake Smith is competing with his old police nemesis, and the race is on. Smith is a seasoned-hand at secrecy, no matter the threat. San Diego citizens are in an uproar over the popular anchor man's death and demanding someone, anyone be charged. Everyone is under more pressure than a vacuum packed jar of pickles. The list of suspects keeps getting shorter as they keep dying off. One killer or many is alway top of mind. The action leads Smith from San Diego to Hollywood to Phoenix. Death is alway knocking. Though newlyweds, but long time lovers, could this case end it once and for all. Jake's sarcasm and bad jokes might have come to an end.It just might be time for Smith to move on again. Only time will tell. The North County flower fields are a full rainbow of colors, set majestically on the hills overlooking the Pacific Ocean. The opened blooms swayed gently in the offshore breezes. The only factor spoiling the perfect postcard setting was the murder of Charles Westway. Why was he beat to death with a hardwood Louisville Slugger, when the second body found, a sheriff’s deputy, was shot? The beloved television news anchor’s darkest secrets unfolded. The mystery expanded from San Diego to the streets of Hollywood and beyond, both physically and emotionally. 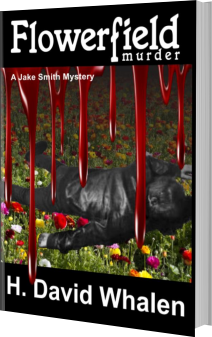 Numerous policing agencies and Private Investigator Jake Smith vied to solve mounting crimes and body counts. Hamilton-Adams Investigations’ boss hired to by the jailed prime suspect’s Chicago attorney to find the truth. He knew his client was lying, but to what extent, murder? Smith needed to locate the Tijuana housekeeper to learn what she witnessed at the station’s previous Christmas party. Can he find her? Will her observations exonerate or bury Smith’s client? Westway’s neighbors told doubtful accounts of the night of the killings. Nothing added up. Nothing made sense. The police investigations stalled and the only hope to save the station manager left up to Jake Smith and his team.